After 5 days of riots and protests curfews installed by the military have been ignored, the protesters dispersing only at the call to prayer. There are numerous un-pleasant stories of plains clothes policemen arming themselves with iron bars, bricks and bottles, working through crowds, taking people aside and beating them violently. One such story is about a group of female protesters being taken aside and brutally beaten for merely attending; many people have experienced this treatment from police and officials, including Jack Shenker a British reporter in Cairo. Last month I wrote a long ranting blog about the Student protests in London and Manchester and how I could not abide the condoning of the violence that lead from it. This revolution could not be further from those past protests but still the student complaint persists. 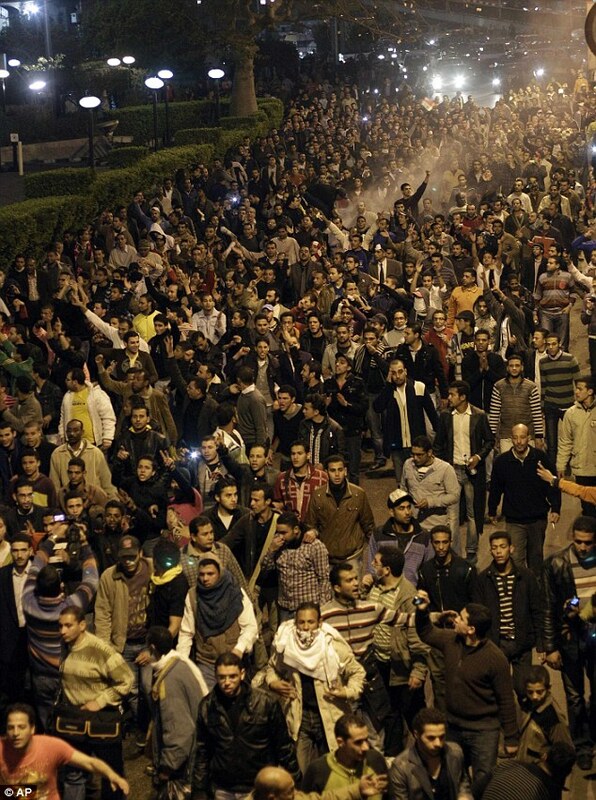 I hope that the current total of 73 dead in Egypt will not grow but if reform is not imminent I doubt it will be so. It has been quoted from Fawaz Gerges that this is a "Berlin moment for the Arab world". I hope for all our sakes he is right, I will be watching the on going situation eagerly. The new year might be a sign of progress marching forward, but it seems the high street didn’t get the memo, with some very retro inspired electricals. This radio player, £69 from Very.co.uk wouldn’t look out of place in an old-school American diner, and this dashboard clock, £24.99 from Lakeland, is straight out of war-era Britain. Who needs a touch screen when retro looks this good?